Michael Marks was born in Slonim, Russia in 1859. As a young man Marks emigrated to England. Without a trade and unable to speak the English language, Marks moved to Leeds where there was a company called Barran that was known to employ Jewish refuges. 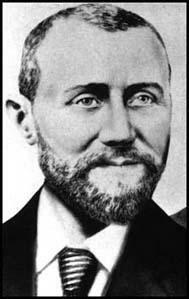 In 1884 Marks met Isaac Dewhurst, the owner of a warehouse in Leeds. The two men arranged a deal where Marks agreed to buy good from Dewhurst and to sell them in the numerous villages around Leeds. The venture was a success and Marks soon raised enough money to establish a stall in Leeds' open market. He also sold goods at Castleford and Wakefield markets. Marks also decided to rent an area at the new covered market in Leeds that traded six days a week. On one of his stalls Marks sold goods that only cost one penny. Next to the stall was a big poster with the words: Don't Ask the Price, It's a Penny. Over the next few years Mark's opened similar penny stalls in covered market halls all over Yorkshire and Lancashire. In 1894 Marks decided he needed a partner to help him expand the business. He approached Isaac Dewhurst who decided against the offer but suggested that his cashier, Tom Spencer, might be interested. Spencer had been watching the career of Michael Marks for sometime and considered the £300 required for a half-share in his business to be a good investment. It was agreed that Spencer would manage the office and warehouse whereas Marks would continue to run the market stalls. Spencer, who had developed some important contacts while working for Isaac Dewhurst, was able to get the best prices for goods by dealing directly with the manufactures. 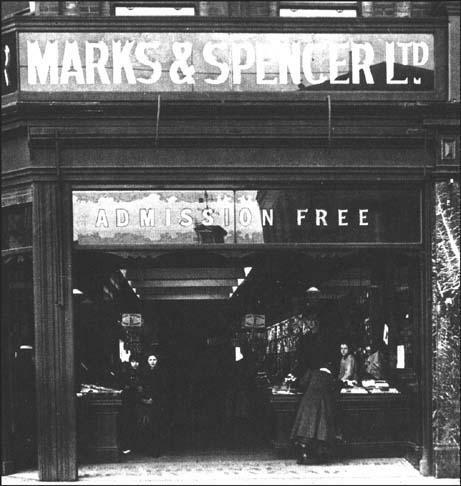 With the help of Tom Spencer Marks was able to open stores in Manchester, Birmingham, Liverpool, Middlesbrough, Sheffield, Bristol, Hull, Sunderland and Cardiff. In 1897 Marks & Spencer built a new warehouse in Manchester. This now became the centre of their business empire that now included thirty-six branches. New stores had been built in Bradford, Leicester, Northampton, Preston, and Swansea. London had seven branches including those at Brixton, Kilburn, Islington and Tottenham. In 1903 Marks & Spenser became a limited company. Spencer's £300 investment was now worth £15,000. Tom Spencer retired later that year but Michael Marks continued to develop the business. 1906 was a record year for the company with several stores taking over £4,000 a year. This included Liverpool (£9,857), Brixton (£9,766), Leeds (£8,701), Manchester (£8,459), Bristol (£6,242), Newcastle (£5,482), Hull (£4,513) and Middlesbrough (£4,064). Michael Marks collapsed and died on 31st December, 1907.